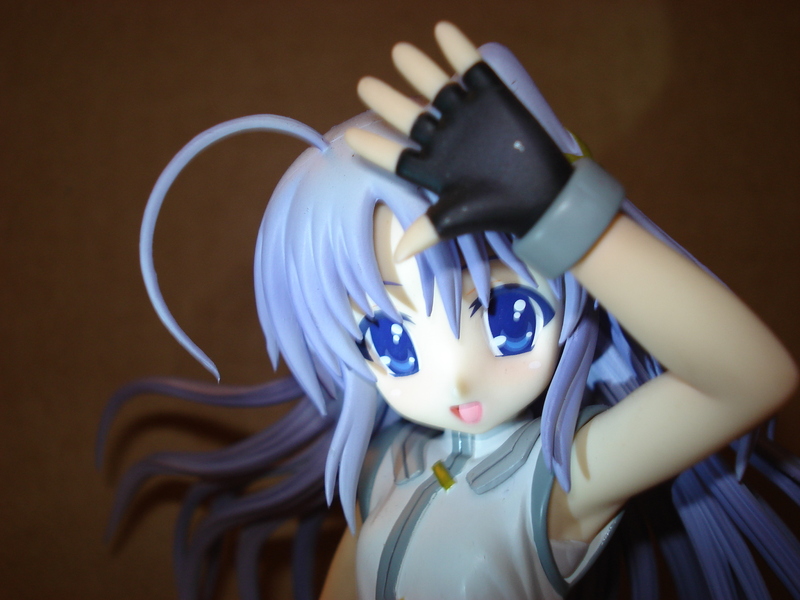 Published on October 20, 2008 in Alter, Figures and Reviews. 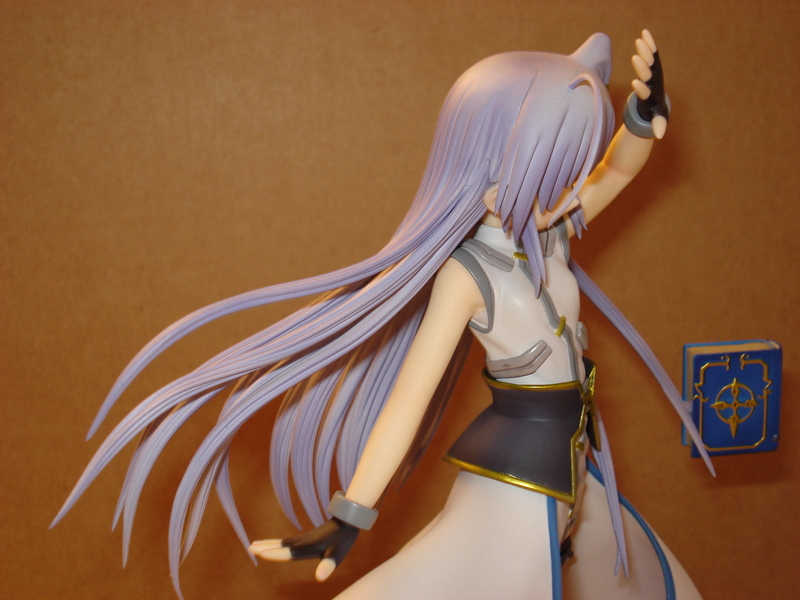 0 Comments Tags: Alter, mahou shoujo lyrical nanoha strikers, reinforce zwei. 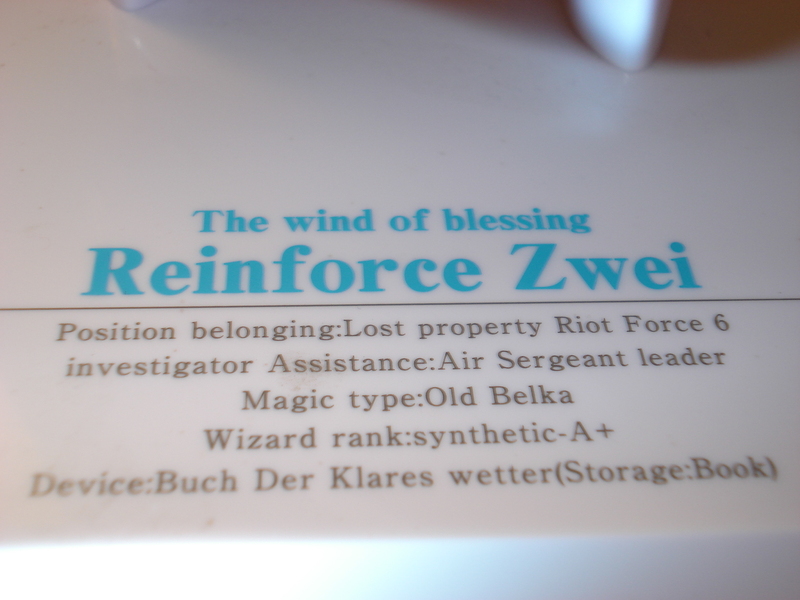 Next up is my review of Alter’s Reinforce Zwei. 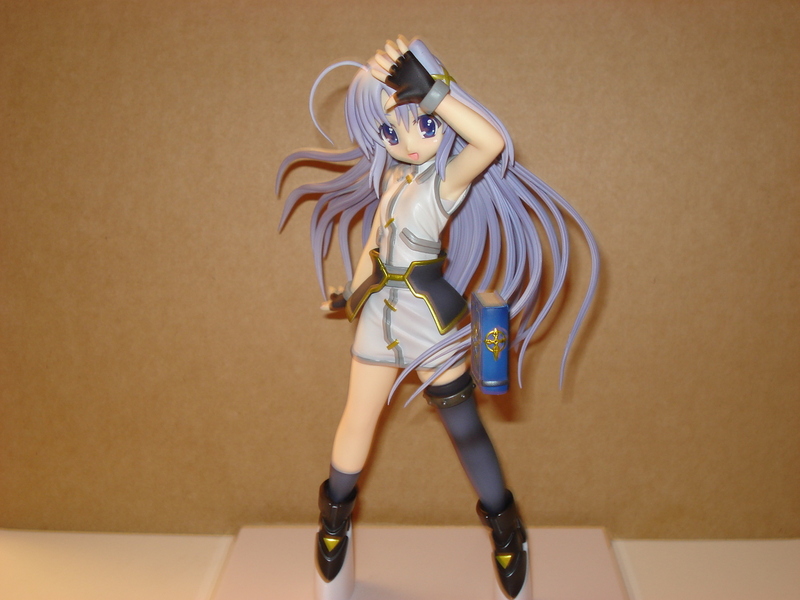 Reinforce Zwei is the second of Yagami Hayate’s Unison devices from Magical Girl Nanoha StrikerS. Zwei means 2 in German, and she was born of the original Reinforce from the previous series, Nanoha A’s. She is a Unison device, which means she can merge with her Meister in order to increase her power output. She comes with her own device, pictured to the right, called Buch Der Klares wetter or Book of the Night Sky (蒼天の書, Sōten no sho in the anime.) The figure itself is not to scale, but in actuality, Rein is very small. I would even go so far as to say that the figure is 1/1 scale. A great amount of detail was put into this figure, as can be seen by Rein’s device, floating in front of her. 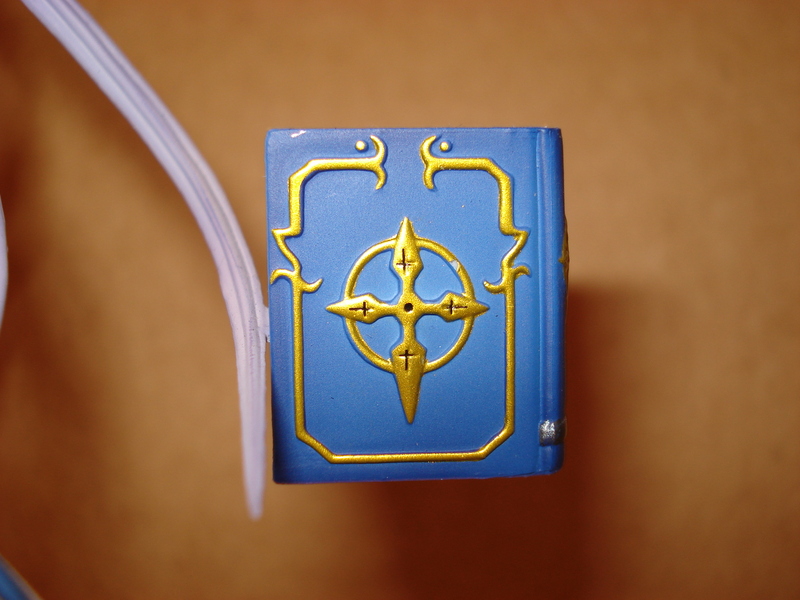 As you can see in the image above, the book is actually very delicately connected to a strand of her hair. When I first ordered Rein in fact, she arrived with the book snapped off! 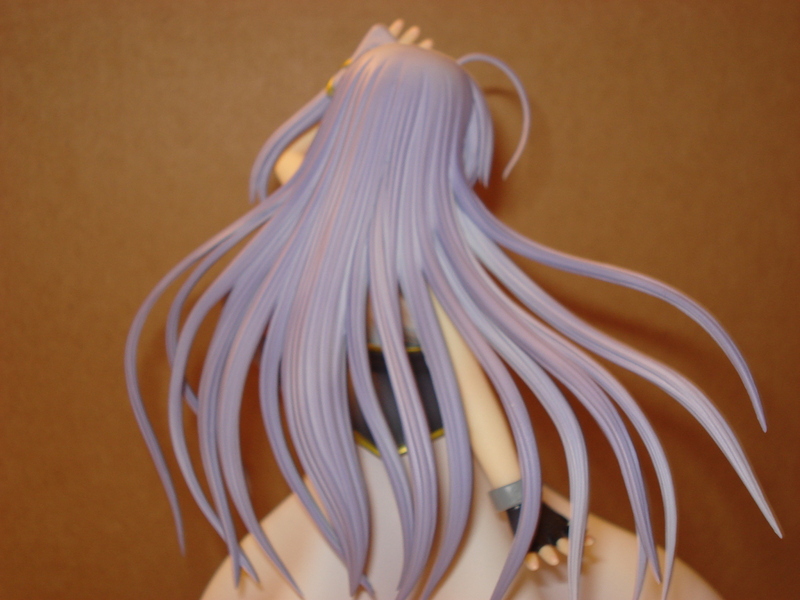 I didn’t realize this at first, and thought it was supposed to connect to the hair with some mechanism. Unfortunately, this was not true, and I ended up having to take her back to the post office and order another one. See that beautiful flowing skirt she’s wearing? Now you don’t! 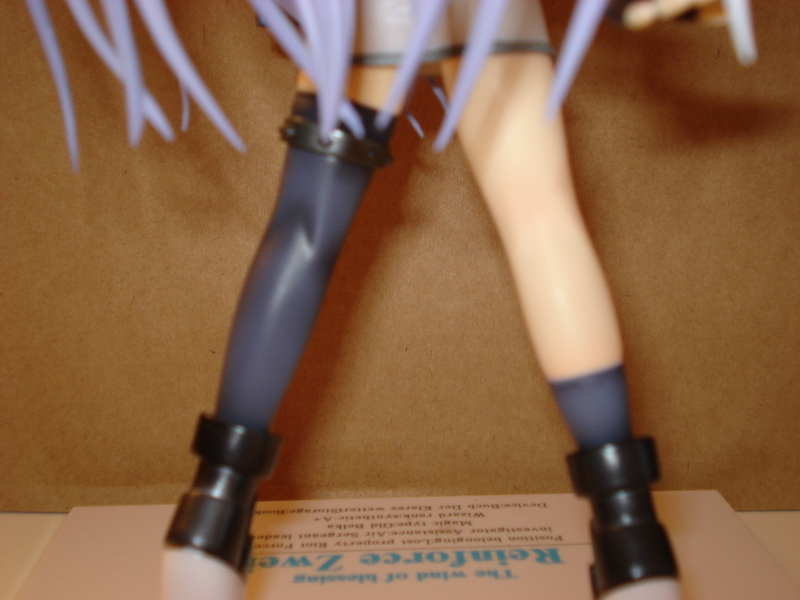 Rein’s upper body can detach from her hips and the skirt is cast-offable. Please be sure to take great care when separating Rein’s torso from her body, as a wrong move will snap her device right off. I really like how Rein looks without the skirt as well, as you get to see her legs more. Don’t you agree? Look at those legs! Man, I love Alter’s figures! 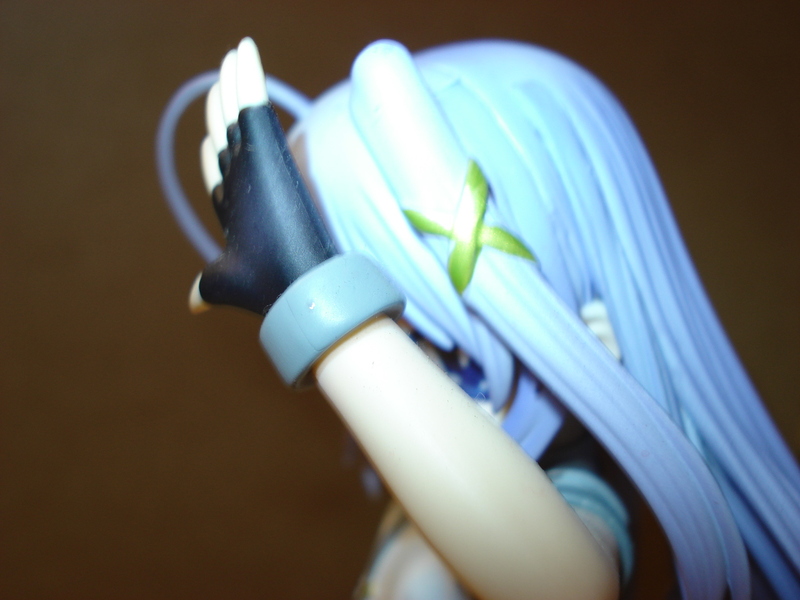 Lastly, I’d like to thank the people who have been coming here via my posts on Danny Choo’s site and elsewhere. I will include a panchira shot with my figure reviews. That being said, Here’s Rein!